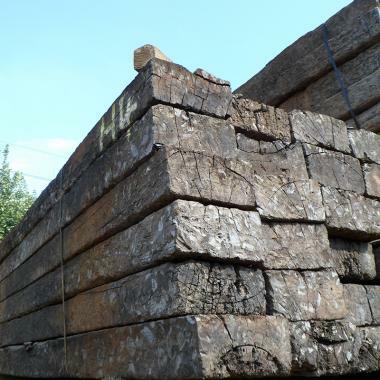 A dense hardwood that has been lifted from beneath the tracks of heavily used parts of the UK rail network (points, crossings etc). These untreated hardwood sleepers will last and last! - They are completely untreated due to their hardwearing, dense characteristics. Perfect for use in water features or any location where constant contact is required. A stunning piece of Hardwood timber! These sleepers come in a minimum length of 2.4 meters but can sometimes vary up to 2.6 meters.